Over the past several months, the Staunton Rook team have been working on an important project with one of our long-standing and valuable clients, Redrow Homes. If you were wondering why we haven’t updated our news page lately, we do apologise – we’ve been VERY busy bees! 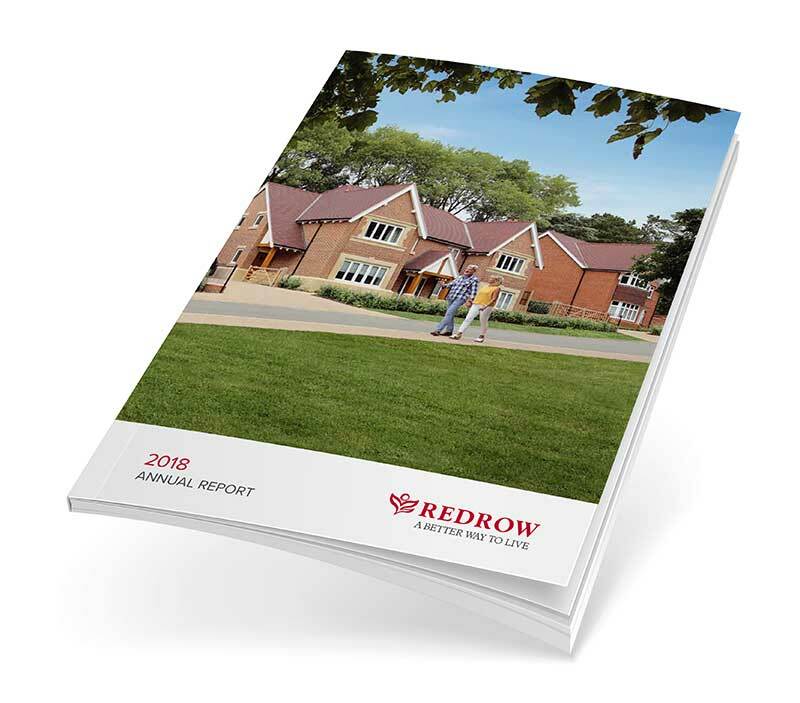 We were approached by our client earlier this summer to project manage and produce the printed version of Redrow’s 2018 Annual Report – a task our team already have vast knowledge of having been involved with the production of their Annual Report and Accounts in the past. A series of in-depth meetings were arranged between ourselves and Redrow to fully understand their requirements for every aspect of the report. 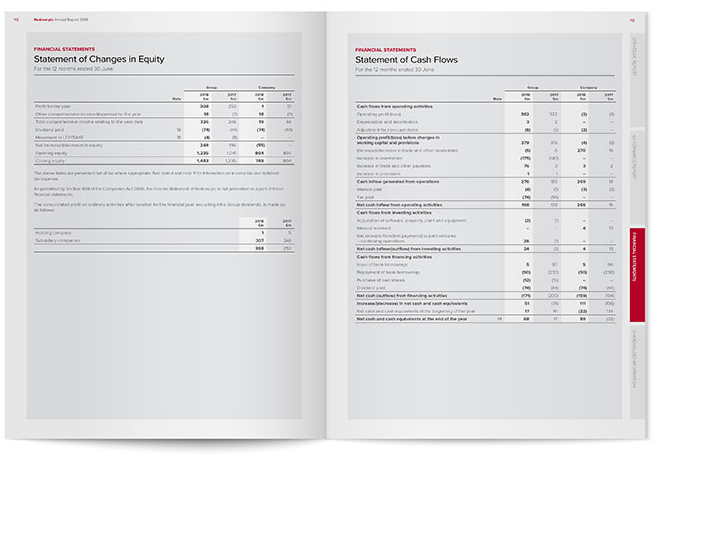 Each design and production element were then communicated to our in-house studio team, who promptly got to work setting the skeleton of the report ready for the content and imagery. During this process, we ensured that all confidential and sensitive data was handled with the highest professionalism and protection. Once the skeleton of the report began to take shape, we provided unlimited proofs to the client in order to keep them up-to-date with the progression and allow the client the opportunity to provide vital feedback, comments and/or amends along the way. Throughout the design and proofing process, it was essential that all deadlines were met by our team to keep the project running smoothly. At Staunton Rook, we are proud to be known for our fast turnaround timescales and high-quality work, so keeping to Redrow’s tight schedule was one of the easier aspects of the job. As the final deadline approached, we press passed the Annual Report alongside our printing partner to ensure every detail was on point. During the whole process we worked in tandem with Redrow’s in-house digital team who created an interactive online version of the Annual Report. Close communication was essential here to ensure that both platforms were updated at the same pace and were completed successfully, on time. We have enjoyed working on such a rewarding project with Redrow Homes and we look forward to continue to supply them with marketing support. Thank you to everyone at Staunton Rook for your hard work and to Redrow for being such a wonderful client. Growing up, I was always drawing anything and everything. Then one day in school, I got told my art coursework was pretty good and would I like to come to a club on a Tuesday evening after school to do extra drawing. What is Google’s mobile-first indexing and how will it affect SEO? The mobile-first index is Google's latest step in its continual journey towards making the web increasingly mobile friendly and allowing marketers to easily monitor behaviour trends. Virtual reality was very much a vision of the future less than 100 years ago. However, virtual reality has now been intensely developed and having an immersive experience is becoming very popular. Over the past few months we have been working with a new client, Parry & Evans, who required a marketing company that would help invigorate their brand and grow their recycling business. General Data Protection Regulation (GDPR) is one of the latest buzz topics but what exactly does it mean and how will it affect your business? One of the biggest changes in internet search over the past few years has to be the emergence and rise of voice search. Interested in finding out a bit more about what makes our MD tick? We challenged Stewart to complete our top 15 insight quiz. Keep checking our news page as we quiz other members of our team during the year!! Ensure 2018 is the best year yet for your business! What better way to start off the new year than overhauling your marketing strategy? To give you a little inspiration we have listed our top tips to help you to drive enquiries and make 2018 a more profitable year. Staunton Rook provide a full marketing service that combines strategy with creativity to deliver effective branding, websites, digital marketing and advertising campaigns through our unique ability to integrate both online and offline marketing tools. We have worked with Staunton Rook for many years and I am always encouraged by the passion and attitude they demonstrate.